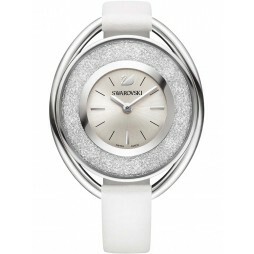 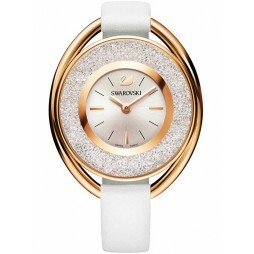 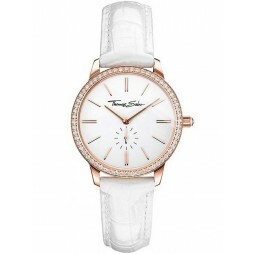 Swarovski bring us this glamorous ladies strap watch ideal for dressing up any outfit this season. 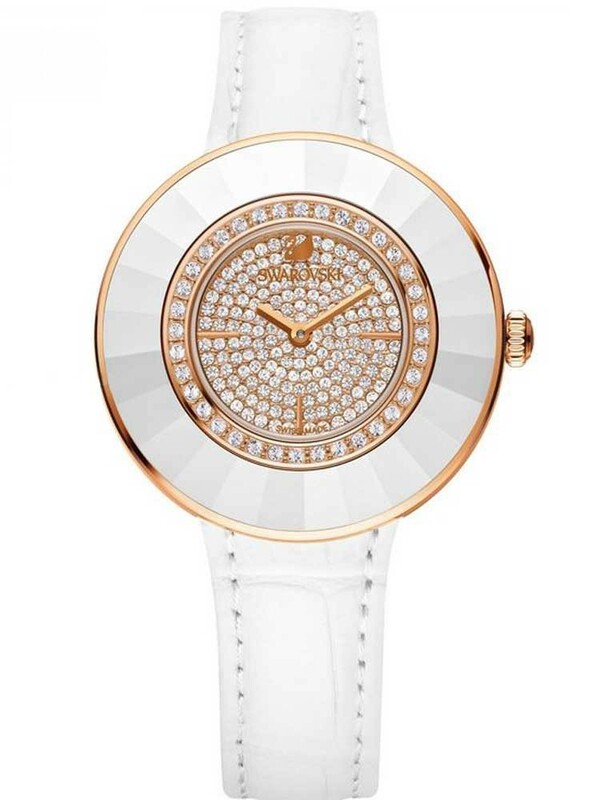 The round white crystal bezel catches light beautifully to further embellish the round rose gold tone, crystal encrusted dial. 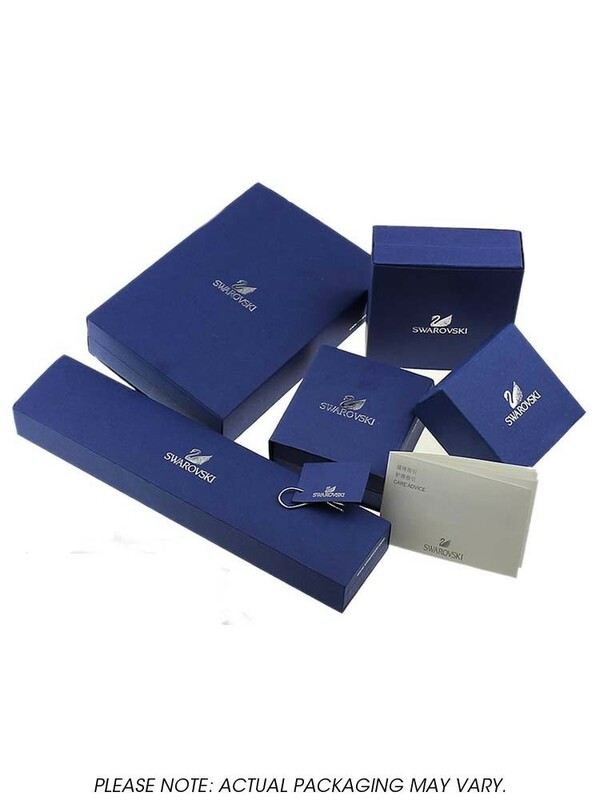 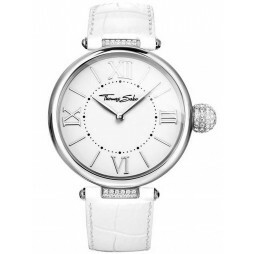 Featuring slender hands with the Swarovski brand logo and complete with a comfortable white leather strap it makes a great gift, buy with confidence.